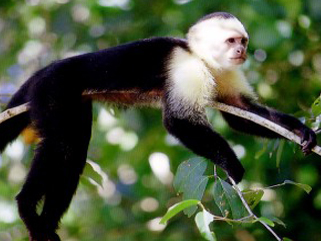 Manuel Antonio Park is the most visited national park in Costa Rica. The beautiful beaches of Manuel Antonio, incredible diversity of wildlife and vast network of trails attract about 150,000 visitors a year. With an unrivaled 109 species of mammals and 184 species of birds gathered around four white sand beaches, Manuel Antonio offers both exploration and relaxation for all those who have the chance to visit. An amazing zoological experience in the heart of the jungle. 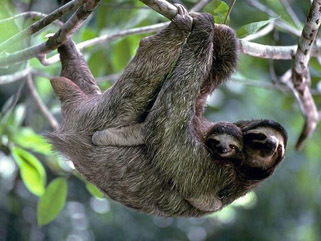 Manuel Antonio Fauna – SlothThe full day of Manuel Antonio Park Trail starts with your naturalist guide for government certified bilingual staff. 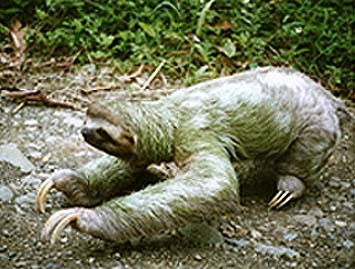 On the way to his guide is sure to attract a variety of monkeys in the park, coatis, sloths, exotic birds and lizards. An amazing zoological experience in the heart of the jungle. 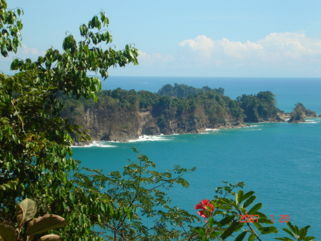 Manuel Antonio, discovered by a Spanish explorer in 1519, is a melting pot of ecosystems. Impose in the white majesty of evergreen backup sandy beaches of forests to the high tide line. Includes: Transportation with A / C, bilingual guide, entrance to the national park and typical lunch. Her day starts when it is picked up at your accommodation in Jaco Beach and Herradura by your English speaking guide and who are there to see the monkeys. The scenic drive along the coast is just an hour and you are in the park. Your guides have “eyes” Superman! They son trained to detect things that you would not see on your own. The most frequent observations son of the white-faced monkeys, howler monkeys, and two Bradypus, deer, javelina, raccoons, squirrel monkeys in the process of species extinction, reptiles and lizards. There are 4 different sandy beaches to explore and swim if you like. At the end of the track, you get to the white sand beaches of the park providing an opportunity to refresh and swim, or just lie on the beach and take in the scenery. Just outside the exit of Manuel Antonio National Park is a variety of restaurants and local handicraft artisans Automatic its beach. We give you the opportunity to walk around and buy souvenirs, then we stop for lunch at a lovely little restaurant on the coast. After our late lunch, we returned to Jaco Beach to enjoy the night and get some rest for the next day’s adventure.